Dr. van der Zaag is also the Director of the Correctional aspect of the Assertive Community Treatment/Correctional Postdoctoral Fellowship. Her office is located at the Twin Towers Correctional Facility on the Mental Health Unit (MHU) of the Correctional Treatment Center (CTC). 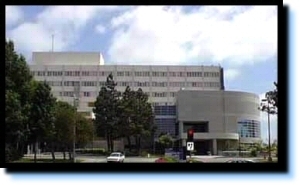 The MHU/CTC is the acute inpatient psychiatric ward of the 200 bed CTC, licensed by the state of California to provide acute mental health services for inmates/patients incarcerated in Los Angeles County jail facilities. Dr. van der Zaag supervises psychologists, social workers, and recreation therapy staff members on this unit. Dr. van der Zaag’s training and research interests include: methods of learning, training and methods of evaluating student learning; intern selection methods and supervision outcomes. Dr. van der Zaag is the recipient of the 2014 APA Board of Educational Affairs (BEA) Grant to pursue APA Internship Site Accreditation.